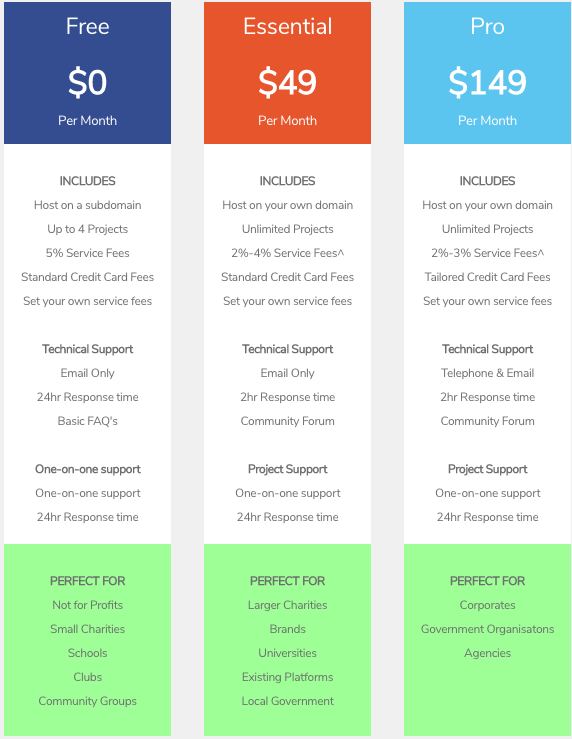 There are three pricing tiers for people wanting to use Base. Our Essential package is designed to cover everything you need to run your own crowdfunding platform. If you need more help with which level of Base will work best for you, get in touch and we can help you find a package that works for you.